At the peak lab we develop many different apps for iOS, tvOS, macOS, watchOS as well as server side swift applications. In the past few years the most common package managers were CocoaPods and Carthage. But for some large projects we discovered limitations for example the missing ability to nest dependencies in Carthage. 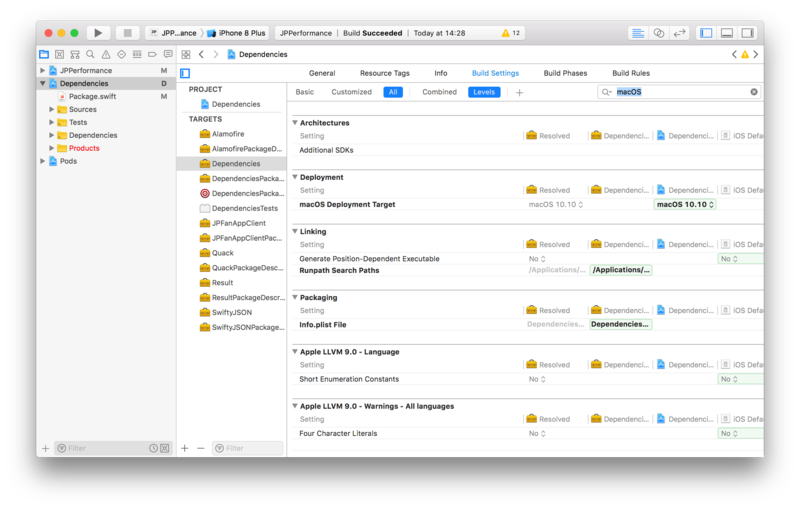 Swift Package Manager is a great tool for managing the dependencies of your project. The problem with Swift Package Manager is, that it is a Package Manager for Swift and not a platform package manager for iOS. So there is no explicit support for depending on UIKit or AppKit. Many voices are saying that it is not possible to use Swift Package Manager for iOS. Others offer solutions which are not working when it comes to uploading the app to the appstore. 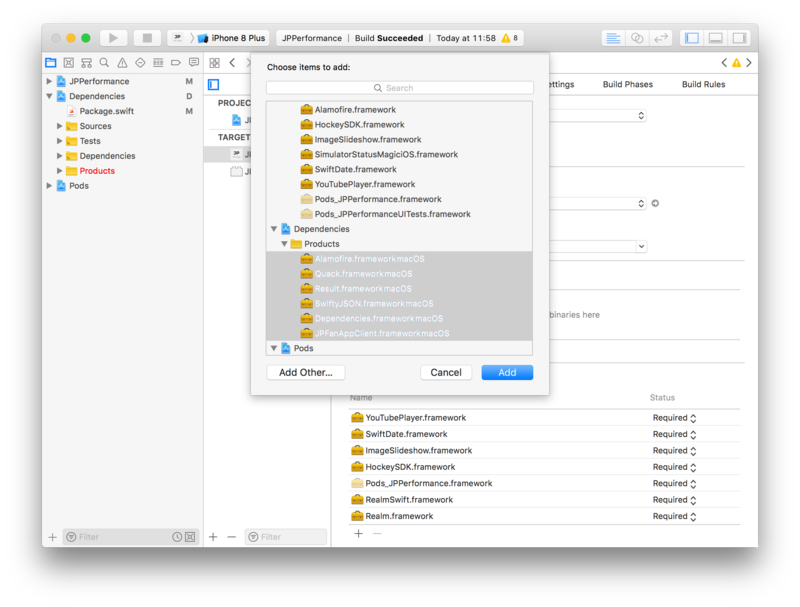 In this post I’m going to explain how to use Swift Package Manager for iOS projects and which kind of problems I had. I’m explaining this with one of the apps I made: JP Fan App. The app in my example is really simple and easy to understand. There is a backend service (using vapor, also written in swift) running on a small Digital Ocean droplet. The backend service provides data in form of a REST interface. To access the backend service, my idea was to write a basic HTTP client which wraps the REST interface: JPFanAppClient. The good thing: writing this HTTP client using Swift Package Manager enables me to use the Framework on all environments iOS, macOS, tvOS, watchOS, Linux. So its easy for me to use the Framework on all of these platforms as well. It becomes really interesting when you think about using the same frameworks in the backend and frontend. We’ll start from the project folder where my .xcodeproj and .xcworkspace files are. 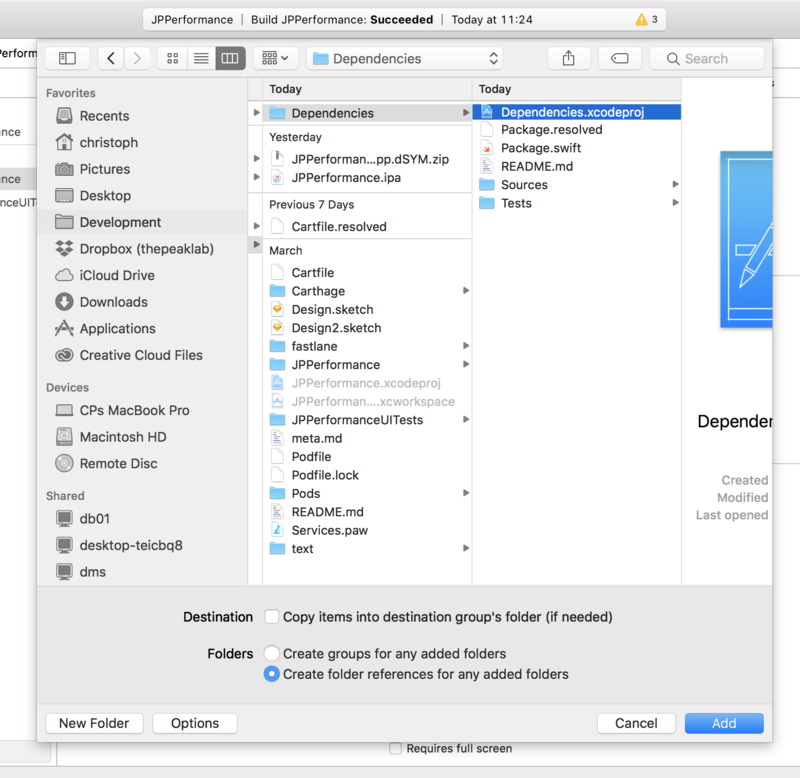 To use Swift Package Manager dependencies, you need to create a small “wrapper” package, generate the Xcode project and do the correct import into your existing iOS Xcode project. Add your dependencies to the new generated file Package.swift. In my case git@github.com:cpageler93/jpperformance-client.git. 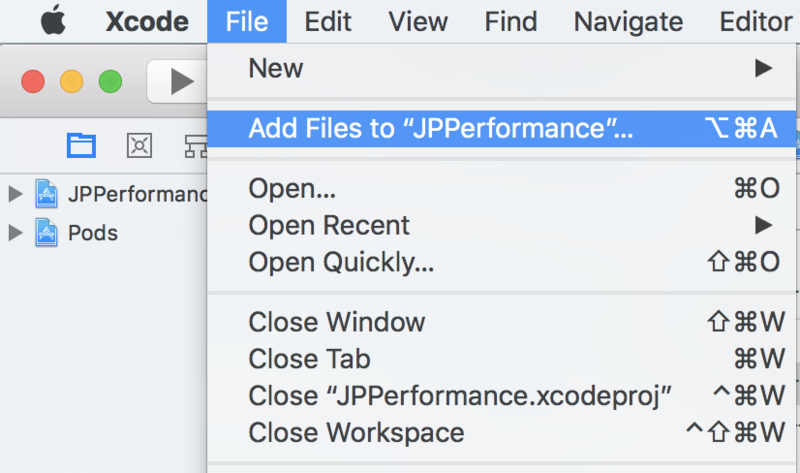 Consider the part where JPFanAppClient must be included in the dependencies array in the Dependencies target. Your output may be much smaller. In my case I’m using the Quack HTTP client which wrapps Alamofire/Vapor HTTP and works on all swift platforms as well. To import the frameworks into the existing Xcode workspace I’ll take advantage of the feature to generate an Xcode Project from my package. Add all the frameworks from your Dependencies project to Embedded binaries. To solve this problem we have to set the deployment target to the matching target of the iOS project. In my case the JP Fan App iOS Deployment Target is iOS 10. Since we’ll regulary update our dependencies and regenerate the Dependencies.xcodeproj it wasn’t an option for me to set anything in the project by hand. We’ll automate this with a Rakefile as described in other “solutions”. Caution: this is not the final Rakefile i’ll describe the problems with using the other solutions and how I solved them. Calling rake dependencies will now update our dependencies, regenerate the Dependencies.xcodeproj and change the settings so that they are valid for our iOS Project. You may need to change IPHONEOS_DEPLOYMENT_TARGET to your desired deployment target. So you’ll never have to type swift package generate-xcodeproj again, from now on we’re using Rake. The annoying part for me was that the next problems did not occour until compiling for release, when you want to upload the app to HockeyApp or TestFlight. I’m using fastlane to automate screenshot generation, testing or uploading for beta-testing or deployment to AppStore Connect. So the next error occured when calling fastlane beta. 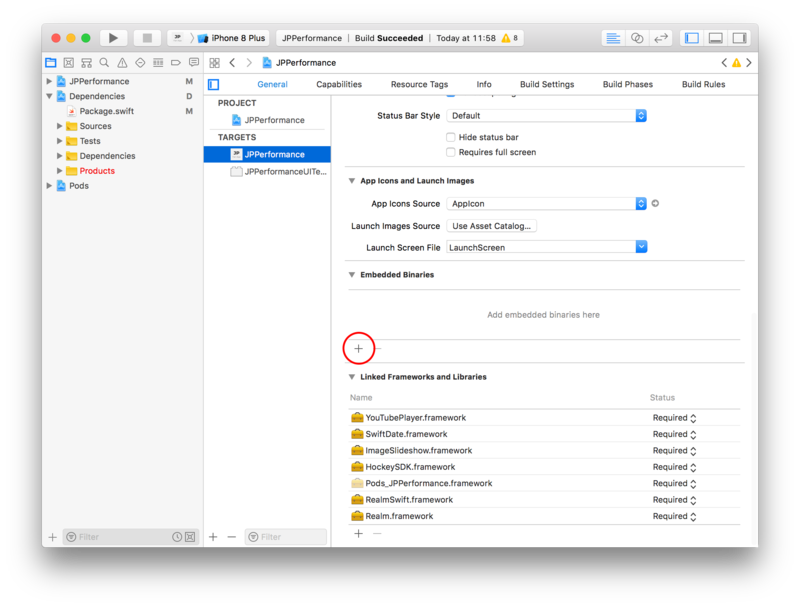 If you want to build your app not just in Xcode for debug but also, in release to bring the app into the app store you can’t avoid the part of exporting the archive. LD_RUNPATH_SEARCH_PATHS has a reference to macOS: $(TOOLCHAIN_DIR)/usr/lib/swift/macosx and MACOSX_DEPLOYMENT_TARGET is set to the Swift Package Manager’s default macOS 10.10. Update your dependencies using rake dependencies. From this point on, the export of the archive worked for me and I hope yours will work as well. For uploads to AppStore Connect you may have to set CURRENT_PROJECT_VERSION in your Build Settings.